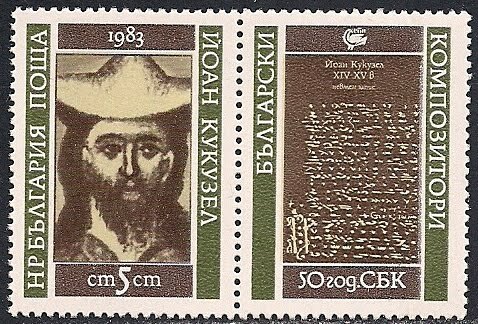 John Kukuzelis(1280-1360), Bulgarian Medieval Orthodox Christian composer, singer, and reformer of Eastern Orthodox Church music. 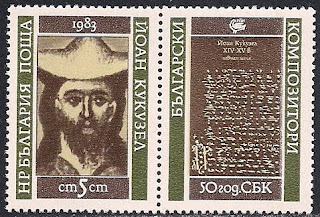 He introduced the melodious style and repertoire and created the Late Byzantine system of notation. He is regarded as the most influential figure in the music of his period.